Copyright © 2011-2019 Topworld Bullion Ltd., All rights reserved. 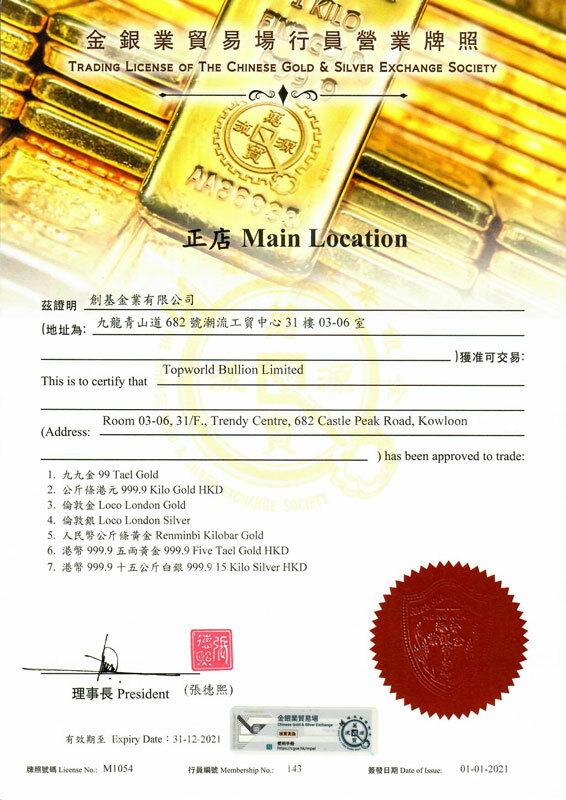 Welcome to the official website of Topworld Bullion Limited. We are a registered member (Membership No. 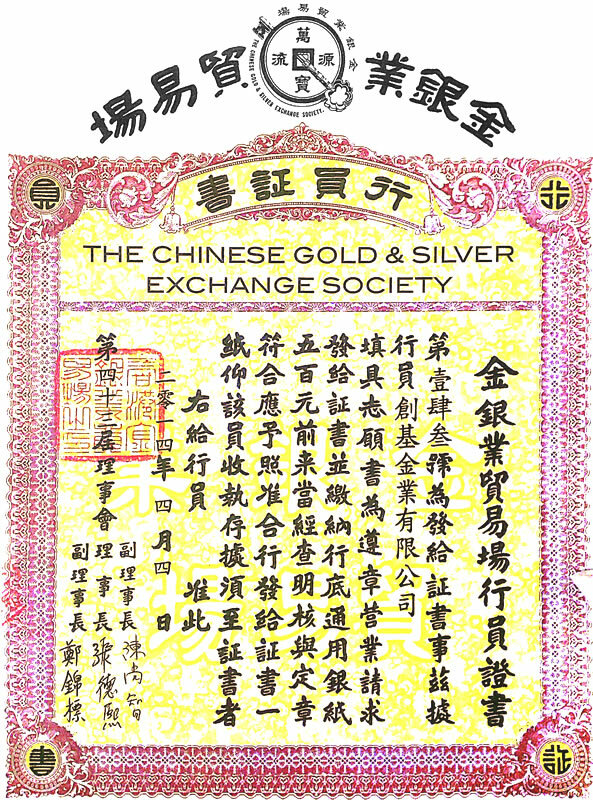 143) of The Chinese Gold & Silver Exchange Society. * You are visiting a website in Hong Kong district. Be prudent for making investment decision.